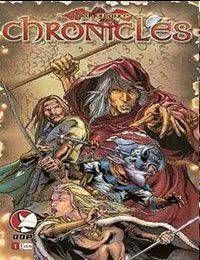 Adapting the mega-popular first novel in the Dragonlance Chronicles Trilogy: Dragons of Autumn Twilight! An age of despair has dawned for the world of Krynn. As dark forces marshal their growing strength, fear and religious fanaticism grips the land. With war on the horizon, a group of lifelong friends are reunited, all outcasts in their own way. It will fall to these eight Companions to prevent a cataclysm!